I love the ideal condition outdoors. Today is a generous morning! 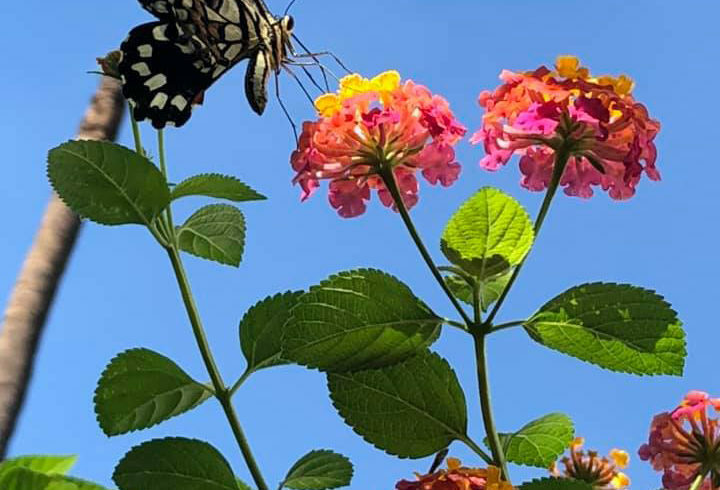 One valued feature and visual element that makes the garden attractive are the presence of both beautiful garden delights; the beauty of flowers and the surprising variety of butterflies. 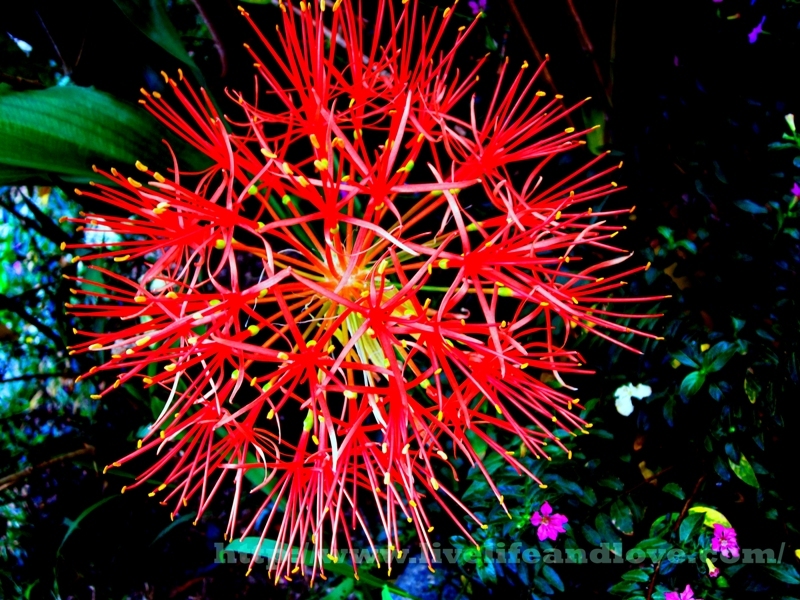 If your garden is equipped with attractive features, they provide a splash of colors. Butterflies of different varieties, they are much evidence this month, a good source of morning delight. 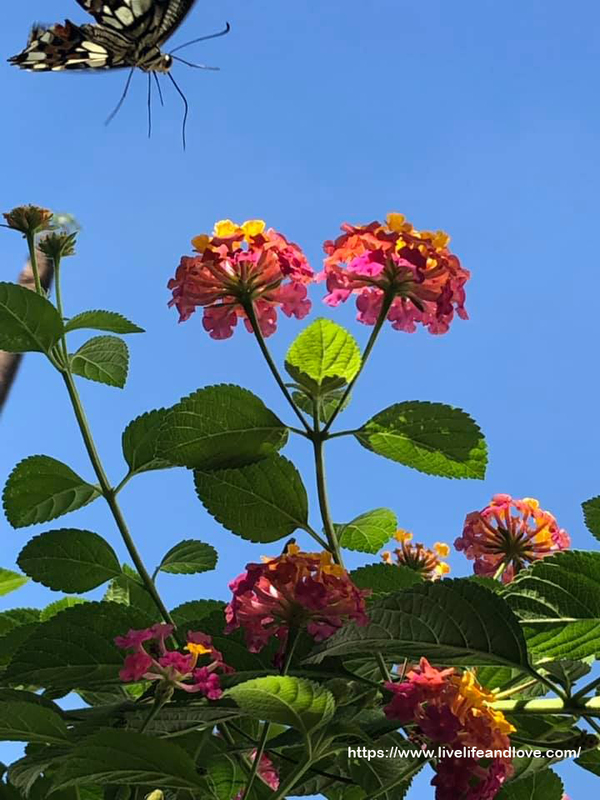 Lantanas has its own intrinsic beauty with cascading colors open to the prettiest pink, yellow and fuschia flowers. A monarch butterfly sips nectar from a cluster of Lantana flowers. They pollinate the same way as the bees. 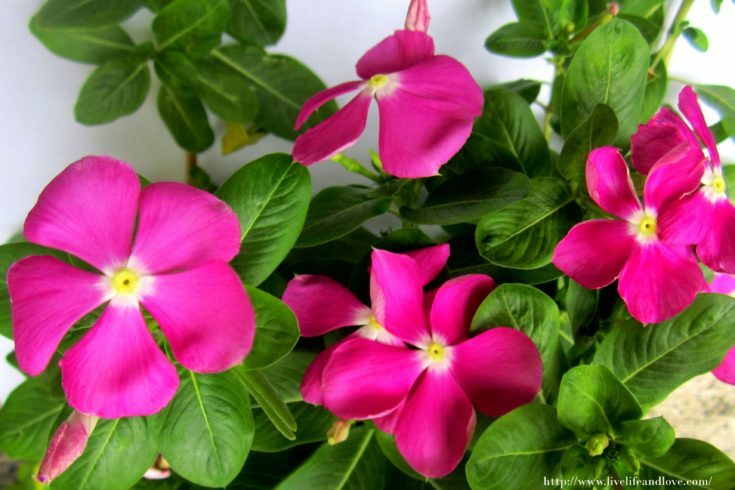 Vinca Periwinkle are tropical plants with 5 petaled flowers and dark green glossy leaves. The variety of colors from rosy pink to light pink, pure white, fuschia, purple, pink rose with rose eye and white with pink eye centers. Vincas are not scented flowers but sunit looks brightly attractive under the, they can stand to the hot condition of full sun, humidity and dry soil too. Just as good and ideal to the kind of climate we have here. I don’t control the overgrowth of vincas in the backyard even if they are over-crowded because it looks good. If you alternate the different color combinations, it gives a vibrant delight in the garden. Swaying gracefully as the wind blows, Angel’s trumpet or Trumpet flowers has a bell shaped flower hanging downward. Flowering profusely during summer, the best blooms will appear under full sun and the kind of flowering plant that works well in any types of soil. 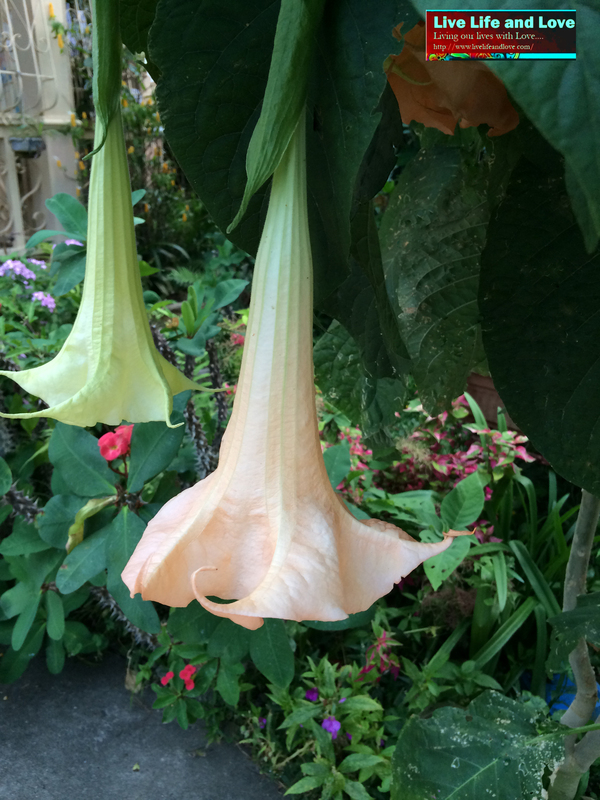 Unlike other flowers, Angel’s trumpet is scentless but attractive. 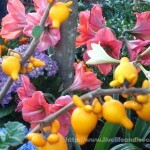 Other flowers which is similar to Angel’s trumpet which has a bell shaped form flowers; Carolina, Silver Bell, Morning Glory, Four O’Clock, Abelia, Trumpet Honeysuckle, Yellow Bell and many more.. 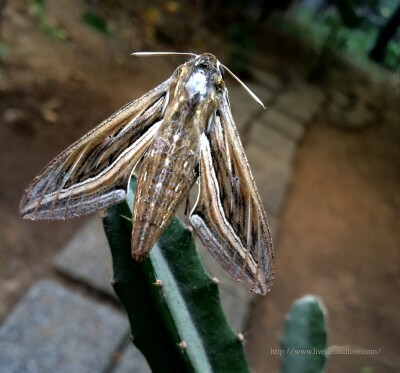 The kind of moth that will come as something of a surprise, it’s another night flyer, a private hawk moth found near the garden decorative light. Just like other moths, I guess this moth was attracted to the garden lights. I’ve observed that hindwing is more attractive and colorful than the forewing. I’ve never seen one like this before. You can only see the color of the hindwings while flying. That makes it completely different to that of the butterfly, the butterfly forewing and hindwing colors are the same. 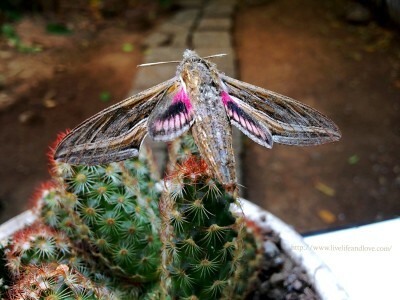 I simply believed, our garden here is a natural one housing all different kinds of insects. Perhaps, without these insects, it wouldn’t be a garden anymore. 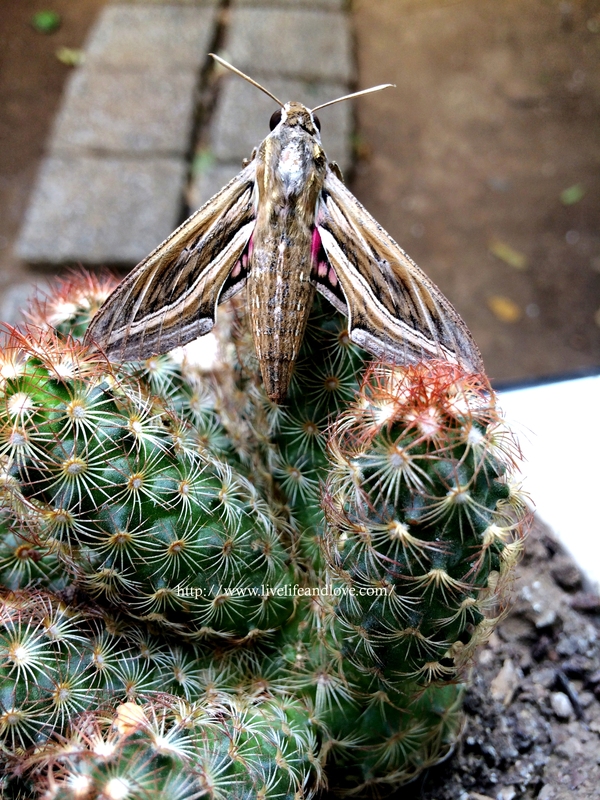 The private hawk moth hindwing is partly hidden. You can see the dark pink and light pink dotted combination of the hindwings. The natural color of the forewings. The decorative effect makes a lovely display, swinging gracefully under full sun that dresses the frontal view of the house. It appeared growing very thickly together and it blooms continuously. What is more lovelier about it, it provides a good shade. 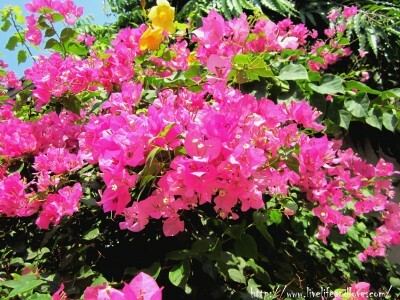 Bougainvillea, a plant particularly growing around, the same kind of plant grown in our garden. The good thing about these plant, it can survive even in poor dry or stony soil. It’s hard to train the branches especially when the stem is already matured. The good maintenance to trim earlier while the plant is still young and the stem is still soft would be better. Cutting, trimming and bending the branches when the plant is still young is a good way to train the branches to grow in different direction that makes a brilliant position when flowers in full bloom. Other plants to lessen the damages, I keep it tied properly from both ends, from upward to downward either both side works to stay upright even during storm or windy situations. However,it’s hard to cut it because it’s spiny. Just wear the right gloves to trim the bushes. Summer is fast approaching,during this time, it’s feasting with brilliant colors bursts into blooms, you’ll see different varieties of bougainvillea around the corner with different colors. I prefer the common color which is pink but, others likes the yellow one which is rare to find and unique. How I wish to have all colors; yellow, red, white, light blue, green, purple, peach and pink. 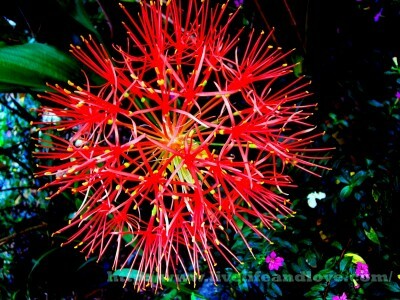 That would be a wise idea,I might go to Tagaytay again to shop for flowering plants soon. The news on weather forecast has been uninspiring;windy with scattered thunderstorms. It rained continously for 3 days now.The ground is slippery wet and moist and sky has transformed into total darkness,the loud thunder throughout. Obviously, I can’t practice photography and can’t go to any outdoor activities. 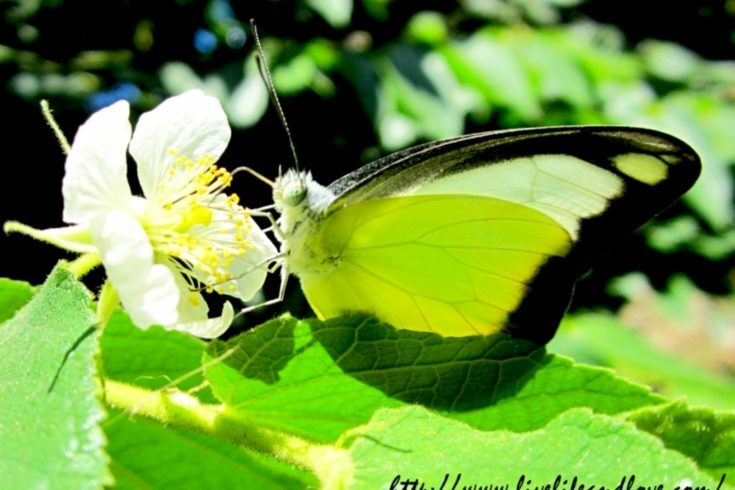 About my favorite photography subjects; honeybees, butterflies, dragonflies and the birds. I haven’t seen any yet.How are they doing now?Where are they hiding to shelter themselves?I’m missing them.I will catch some weekends when it’s sunny and bright. For now, I will just settle to indoor activities or just online.I hope there will be improvement tomorrow. I have always look forward to a clear and bright sky! Rain,rain, go away. Come again,another day! I’m about to snap a flying bee, and this beautiful yellow butterfly landed unexpectedly in front of me. What a sudden surprise! A beautiful yellow butterfly has the power to stop me photographing the previous subject. 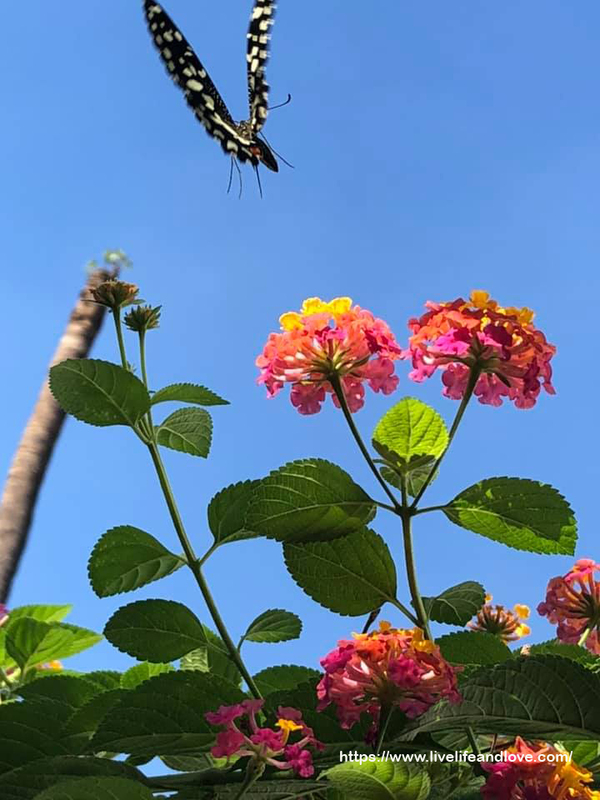 Instead of bees, my attention was into a butterfly. I was scared to missed the beautiful sight! It caught my attention, and took a snap right away. For more than a week now, I’ve been very busy photographing agents of pollination like; honeybees, butterflies, and other garden insects. The good thing about it? I’ve learned a lot from these garden insects. I will continue to capture more interesting photos of insects in the garden. It’s a morning routine to take a walk through the garden garden and check what’s new! It gives me the welcome feeling of coolness and spaciousness. My frequent visitors around; bees,caterpillars, butterflies, and humming birds.Today is a big surprise! 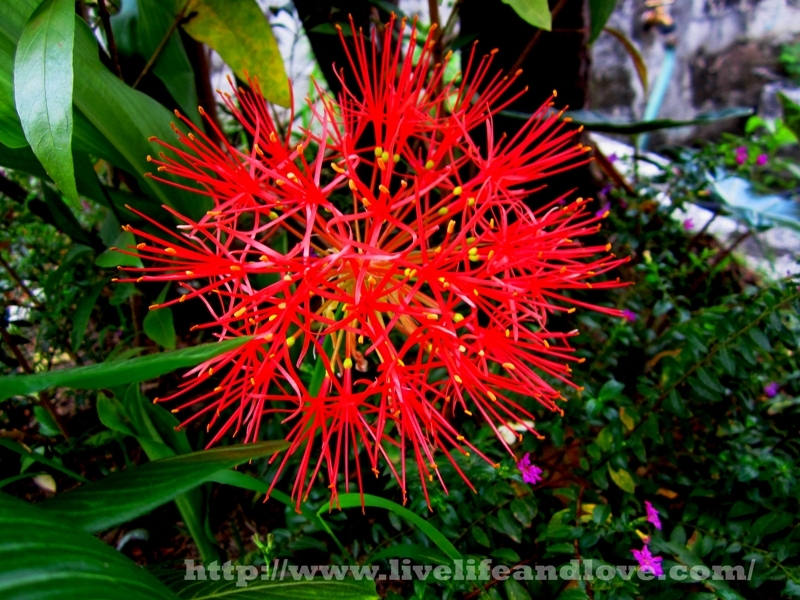 A multi flowers blooming and waving gracefully following the direction of the wind. Don’t forget to click on images to view larger. Scadoxus multiflorus.This is a flowering bulb actively growing underground that blooms only once a year.It’s a summer bloomer! Bringing a new bloom in the garden creates a mystic feeling. It’s summertime,this is clearly the season to do some serious looking and caring in the garden.I prefer a garden that looks natural although, my garden is not that big enough to plant other varieties of flowering plants. I’m planning to expand in order to create more spaces for other garden accents. It needs a little renovation in the patio. 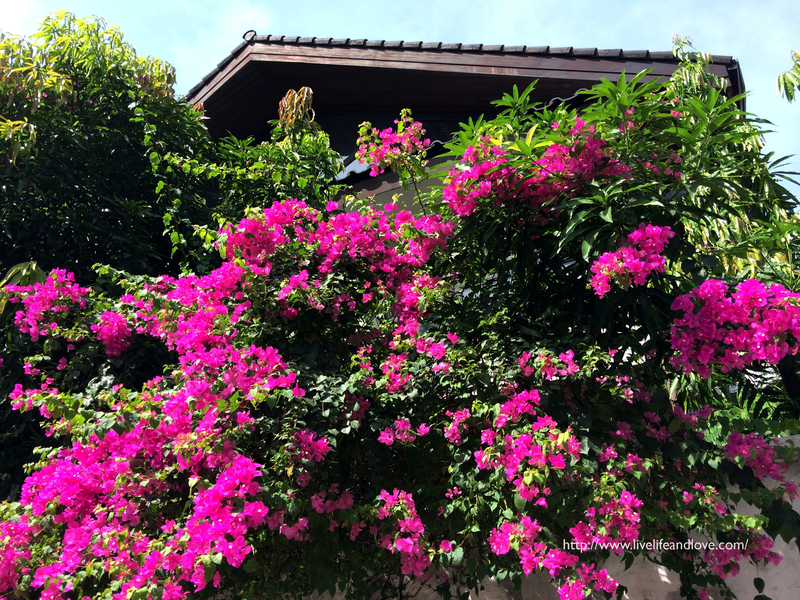 It requires a shade to block the direct sunlight, to protect the existing plants which is too sensitive to sunlight.For the plants, I prefer flowering plants with a minimum maintenance and a tree to create a shade for a purpose. This summer is the time to what needs to be done in the garden.I love all kinds of flowering plants as long as it looks attractive and the flowers quite beautiful.